Download PDF (81KB) copy of the statutes. It was long realised that the international accreditation of cleanroom training courses was desirable and would improve the transferability of training standards in the worldwide cleanroom industry. 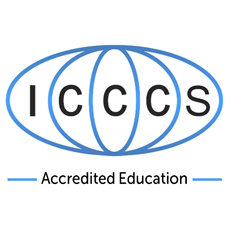 The ICCCS (International Confederation of Contamination Control Societies) based in Switzerland set up an ICCCS Education Board (formerly called ICEB (International Cleanroom Educational Board)) to promote the preparation and accreditation of internationally recognised educational courses for people who design, construct, test, monitor, operate, and work as operators in cleanrooms. Courses would be accredited through a submission sent to the ICCCS Accredited Education that would provide information about the course and demonstrate that the course conformed to an accreditation framework. Currently, CTCB courses held in Ireland and The Netherlands have been accredited by the ICCCS Accredited Education.